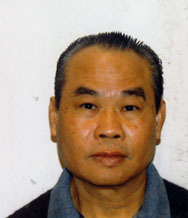 Yoke Htway Chow, 62, of North Providence, R.I., died Monday (2/4/2019) at Rhode Island Hospital. Born in Myanmar, Burma, son of late Wai Ming Chow and Ngwe Kyin Tang, he emigrated to the United States and was naturalized in 1990. He was the husband of Ai Chiung (Huang) Chow. Mr. Chow was a Chinese cook for many years, the last with Yan’s Cuisine in Providence. Besides his wife, Mr. Chow leaves 2 sons, Yao and Jackie Chow both of North Providence. He will be inured in Highway Memorial Park Cemetery 1 Rhode Island Ave. Johnston, R.I. Thursday at 10:00 am.